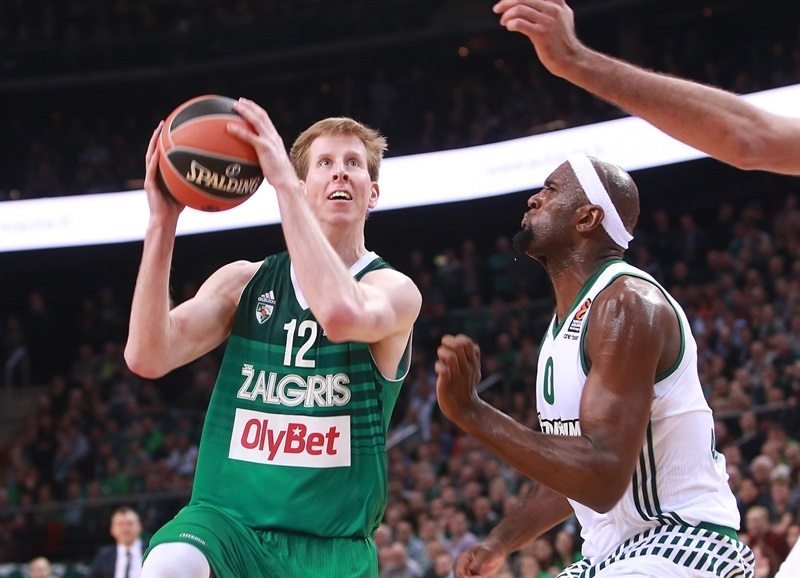 Zalgiris Kaunas bounced back from a 14-point deficit to keep its playoff challenge alive with a 64-58 victory over Panathinaikos Superfoods Athens. 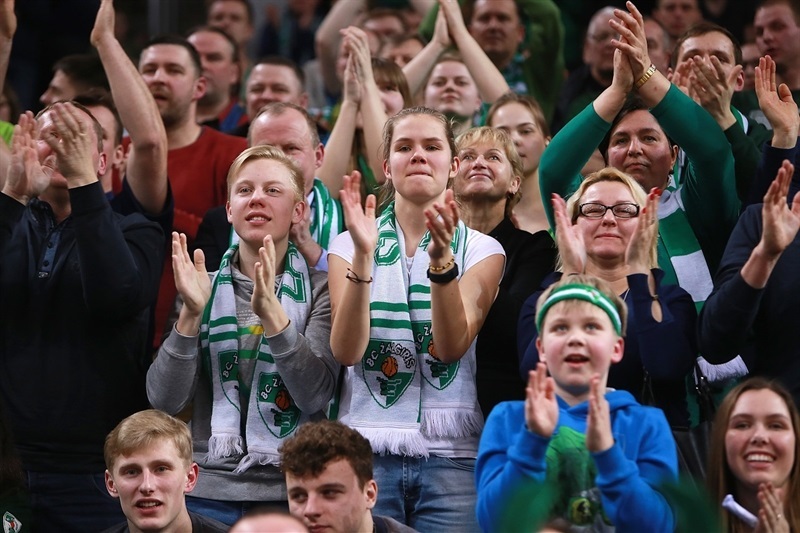 The Lithuanian champs improved to 11-14, while the Greens dropped to 14-11. The win came courtesy of a 30-point fourth quarter by the home team, nearly doubling its output from the opening three periods thanks to a burst of three-pointers. 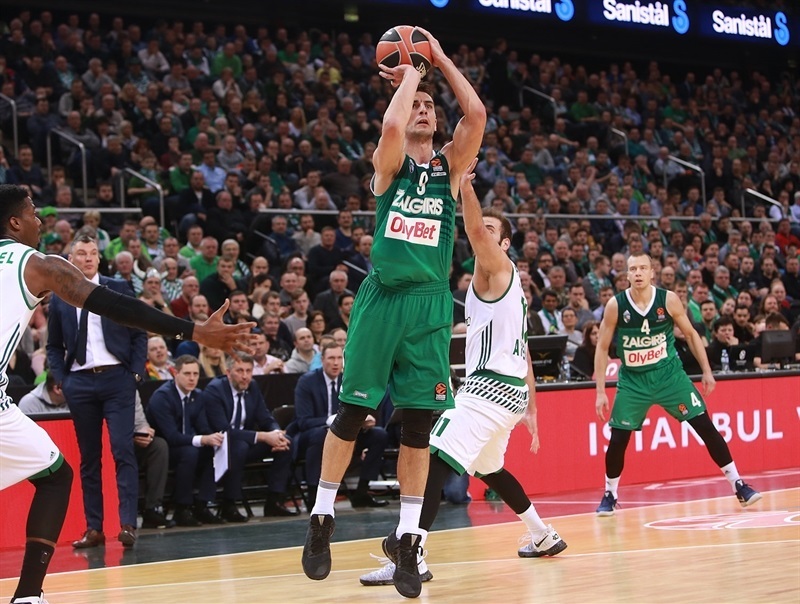 Leo Westermann was the outstanding individual performer with a game-high 14 points, 6 rebounds and 6 assists, while backcourt partner Kevin Pangos dished a career-high 9 assists. 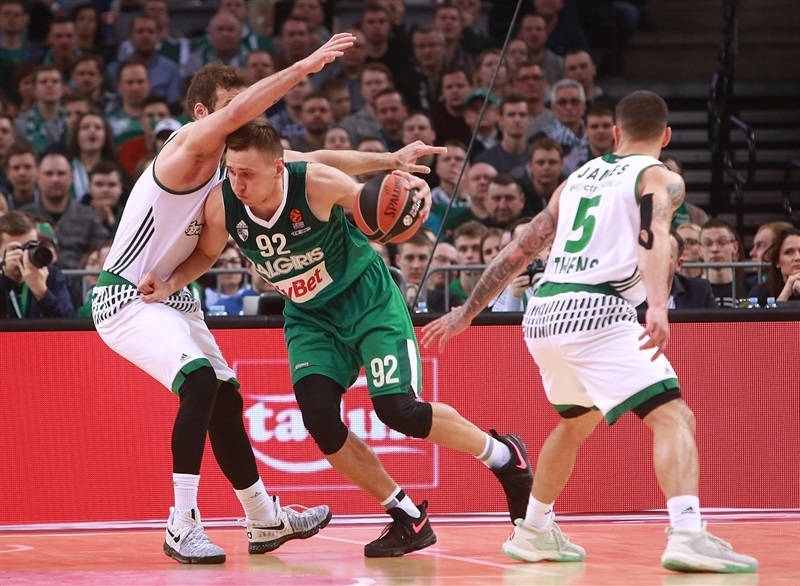 Arturas Milaknis scored 13 points and big men Paulius Jankunas and Brock Motum netted 11 apiece. 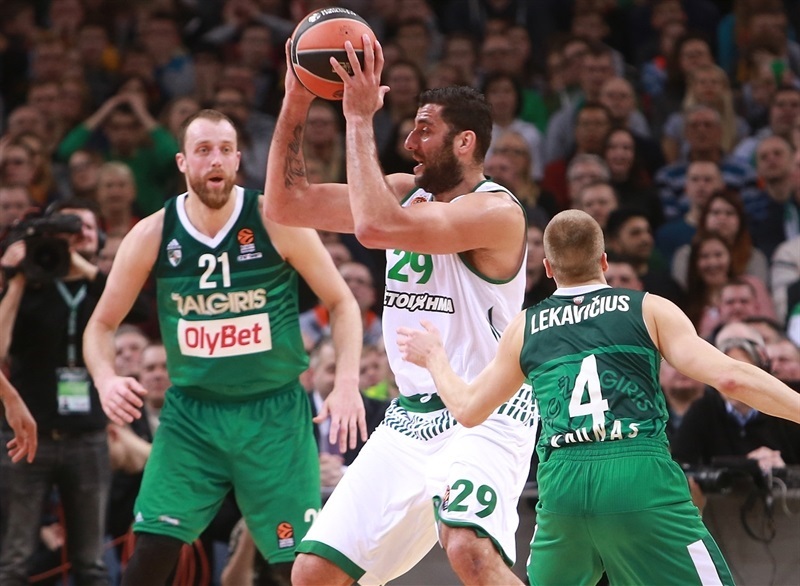 Panathinaikos center Ioannis Bourousis grabbed 5 boards to overtake Felipe Reyes as the league’s all-time leading rebounder. 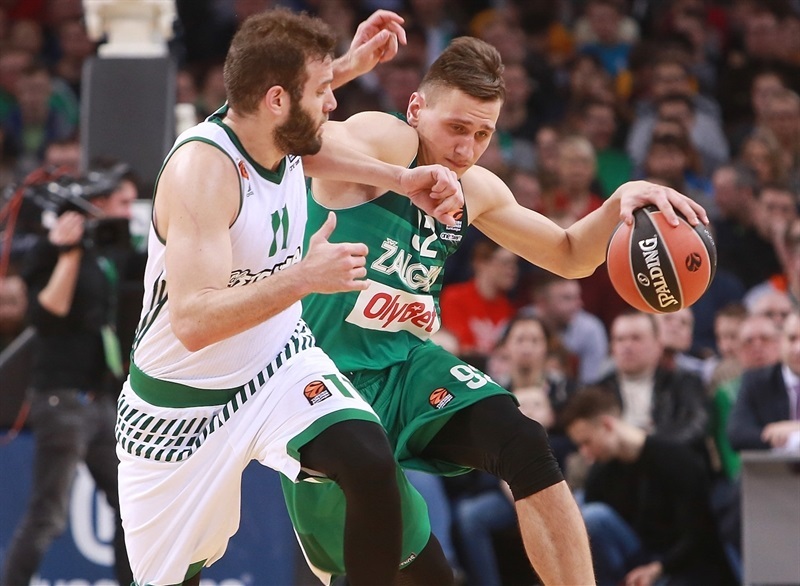 The visitors’ attack was led by Nikos Pappas with 13 points and Chris Singleton with 11, but they were ultimately undone by failing to sufficiently extend their lead during the long periods when Zalgiris’s offense was faltering. 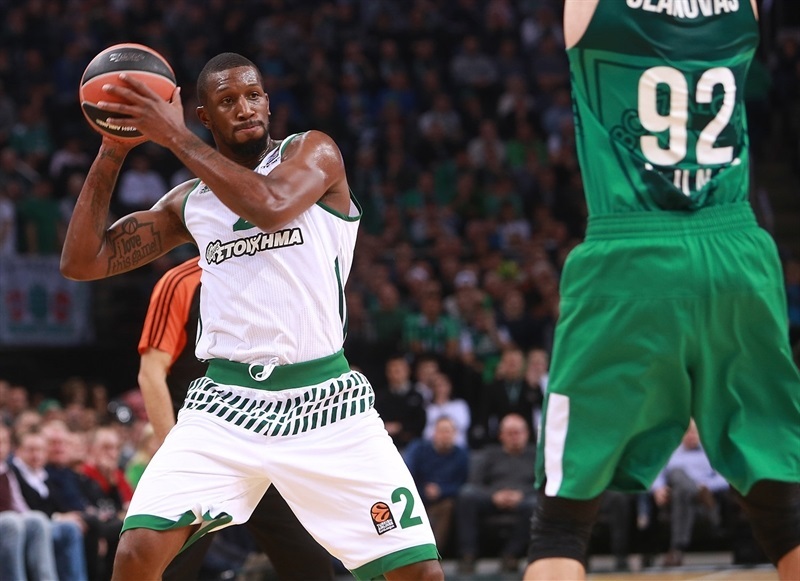 After a low scoring start, Singleton’s triple sparked a 0-9 run for the visitors to give Panathinaikos a 3-11 lead, before Westermann scored 4 to narrow the gap. 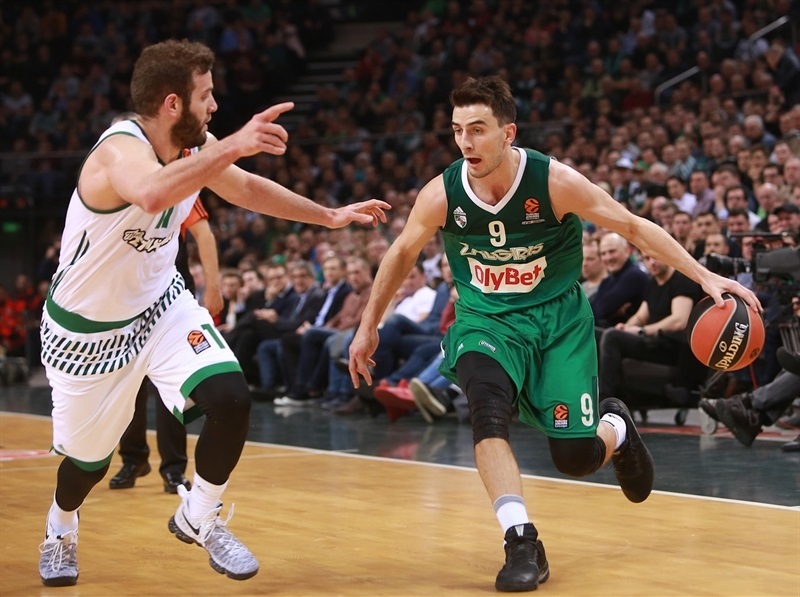 The defenses were held strong during the early stages of the second quarter, with the two teams combining for only 6 points in the first five minutes. 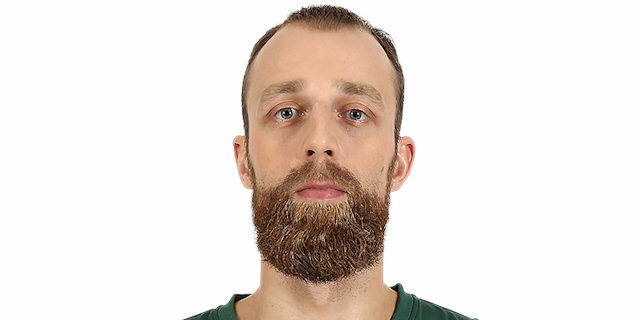 A close-range bucket from Bourousis and a fastbreak slam by James Feldeine made it 11-25, before Zalgiris stopped the rot with triples from Milaknis and Westermann, and a ferocious dunk by Edgaras Ulanovas. 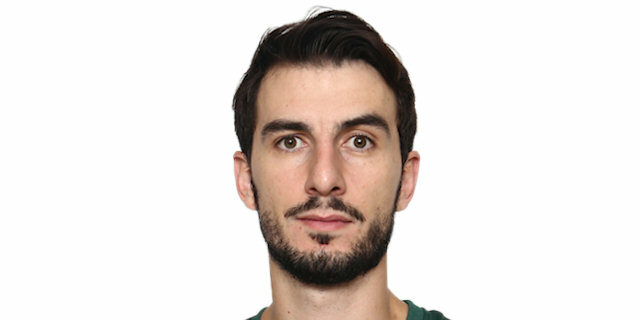 Pappas responded to give Panathinaikos a 19-31 half-time lead. 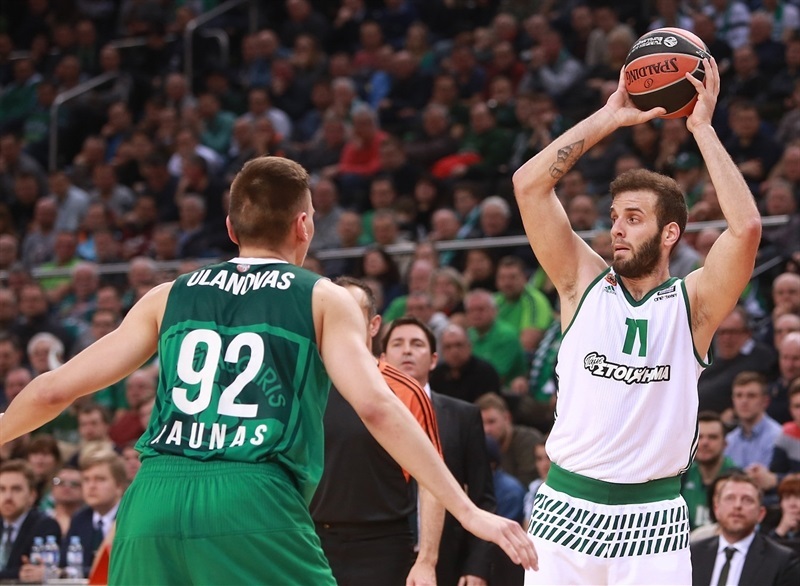 The start of the second half was also low scoring, with Panathinaikos netting just 2 points in the first five minutes. 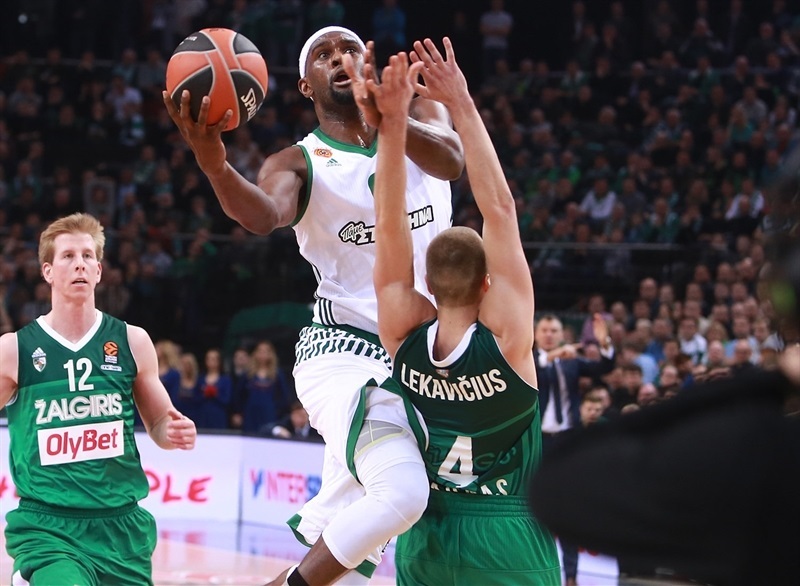 Zalgiris narrowed the gap with triples from Pangos and Motum to bridge the third and fourth quarters, before Motum tied it with seven minutes remaining, and another downtown strike from Westermann gave Zalgiris its first lead since the third minute. 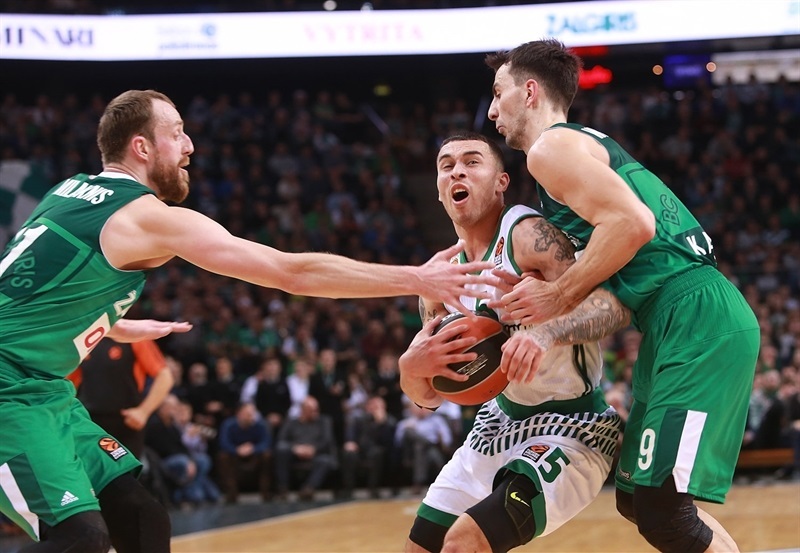 Pappas converted a basket-plus-foul to make it 56-54 with two minutes left, but Jankunas scored 5 consecutive points and there was no way back for the visitors. "It was fantastic win. With the help of our fans we managed to come back after playing really sloppy in the first half. At halftime I told our players that we can’t play worse than that, we need to start playing and the fans will carry us on. I could even say that’s this win is one of the greatest for me as a player and as a coach." 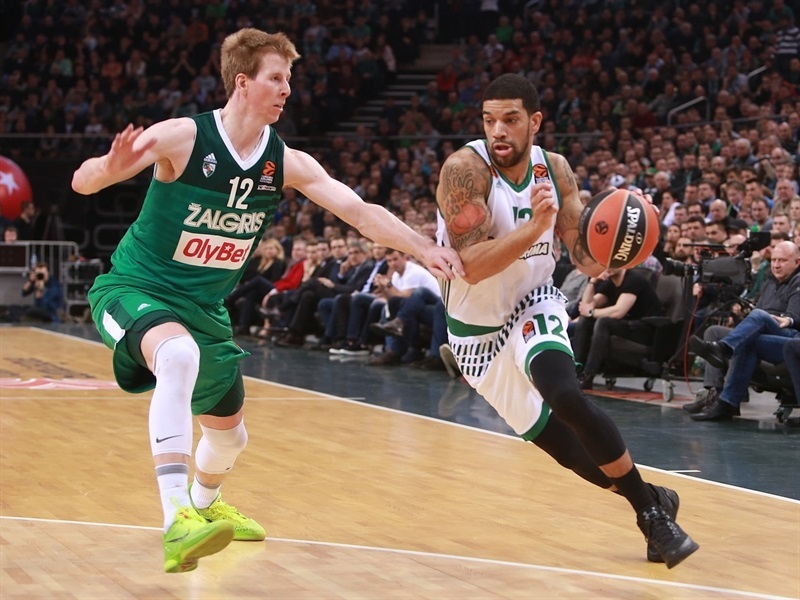 "First of all I congratulate Zalgiris for the victory. The first half was good for us. Our defense was working, in offense we created good shots and we played as a team. In third quarter we still were keeping with the defense, but our players started to play too individually. We didn’t play as a team anymore and it cost us the game." "It’s a good feeling. We went into the locker room at halftime knowing we had played very bad, but we came back out onto the court as a team and showed great effort. We started hitting shots, which had been a big problem, but we found easier open shots and played good team defense. We played well in the second half. At halftime the coach said we had to come out tough and strong, and play with our heads. That’s what made the difference." "The main key was our defense the whole game long, and the shots we made in the second half. Our first half percentages were really bad, but we improved in the second half. We didn’t start aggressively, maybe that’s why we were down by 10, but after two quarters we started to play with more aggression and everything improved." "We did not play well. On offense we were very bad. 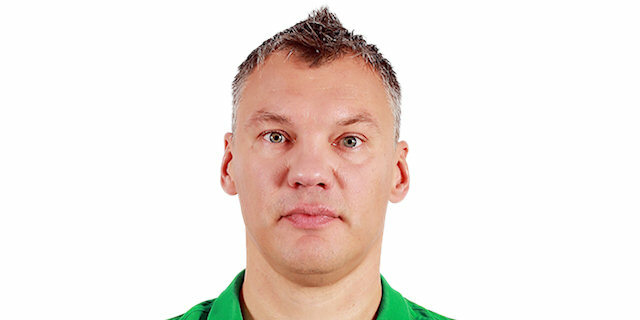 We were selfish and defensively we were not so bad until the last period. 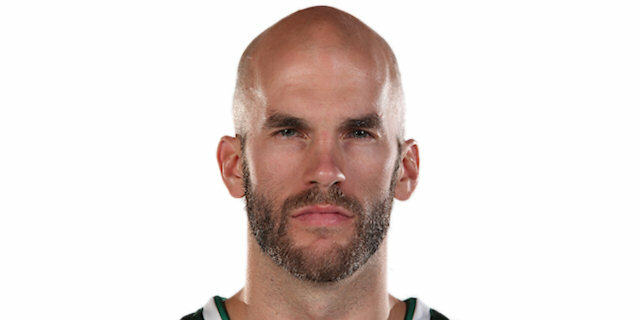 Our offence had problems, it was not the basketball we want to play. We must stay together. 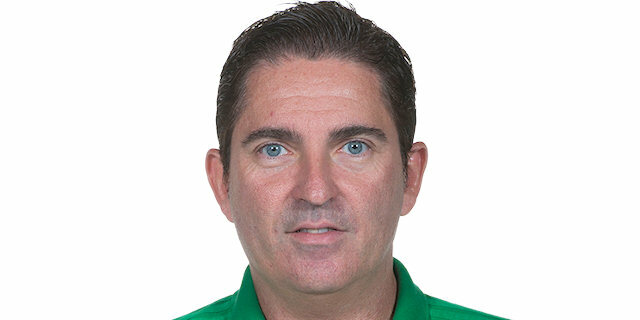 We must show in every practice and every game what team we are."